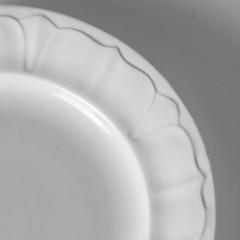 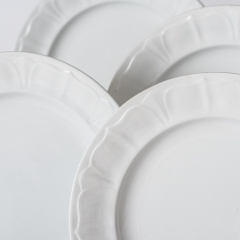 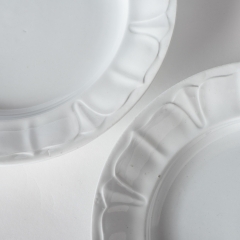 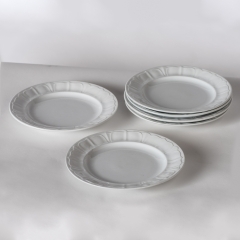 These six dinner plates in the sought after Sydenham pattern are in perfect condition, except for a single tiny chip on the rim of one plate. 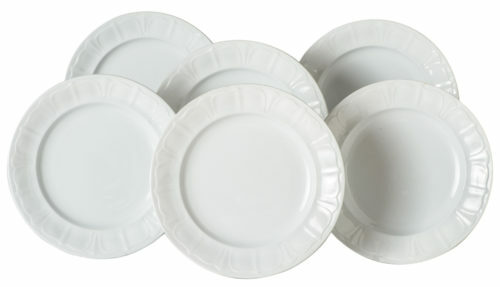 It is unusual to find plates of this date and size. 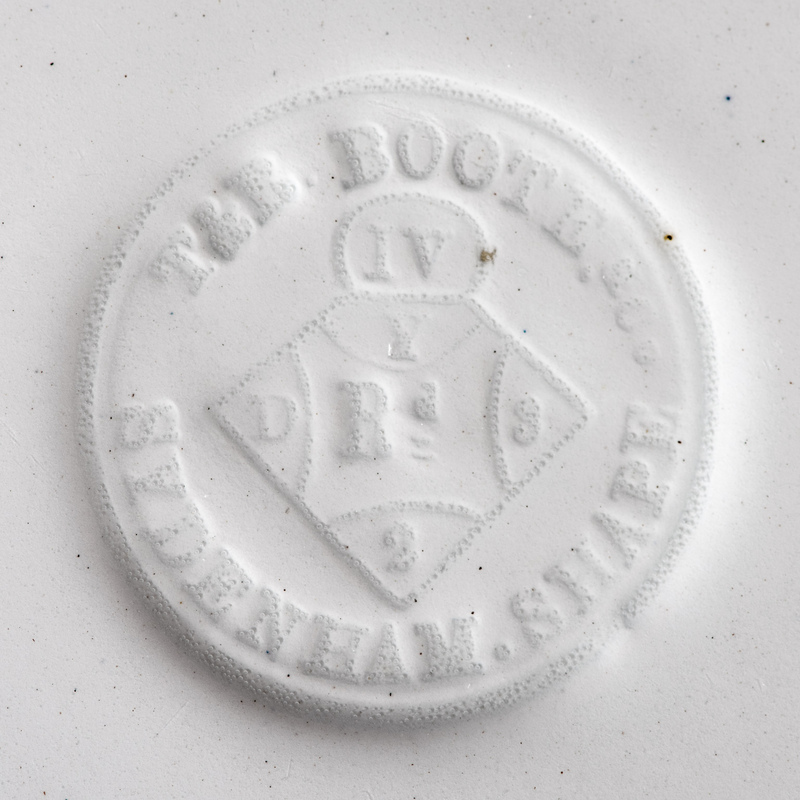 They have the impressed mark of T+R Boote, England.